10+ 7 Pot Bubblegum seeds shipped in a bubble envelope. 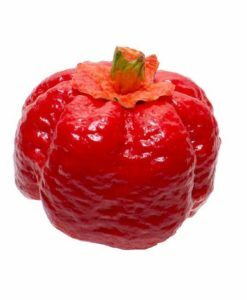 The red color of this unique pepper seems to “bleed” into the stem. 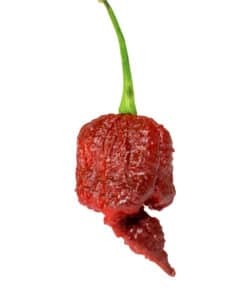 The 7 Pot Bubblegum is yet another very unique and rare variety created in the UK by John Harper. 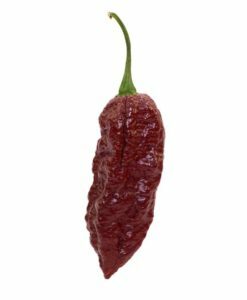 What makes this pepper so different isn’t the name, it isn’t the searingly hot taste, it’s the red color that seems to creep up the stem. The red you see in the picture is unaltered and happens in the last few days of ripening. 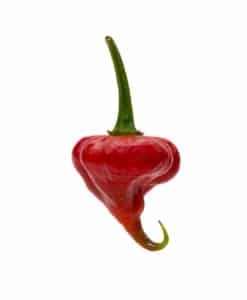 The part where the stem meets the pepper is called the calyx and this is the only pepper known to turn red! 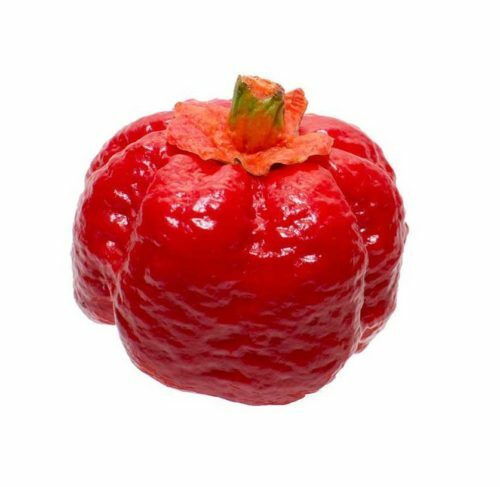 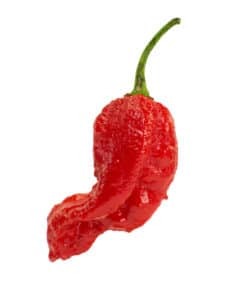 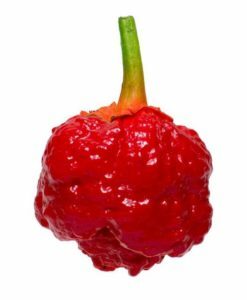 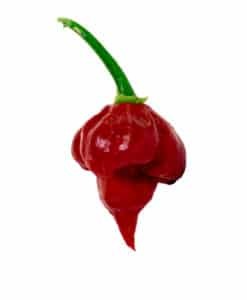 This is a favorite among pepperheads to grow because it has the heat of a moruga scorpion (about 1,800,000 SHU) and the unique red calyx. 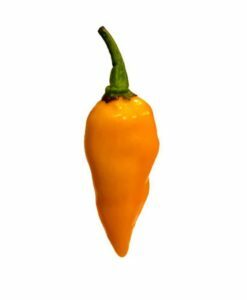 This pepper is a cross between a Yellow 7 Pod and a Moruga Scorpion. 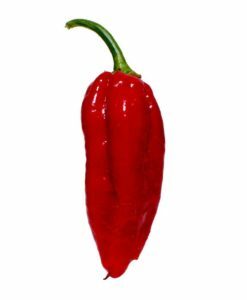 The flavor of this pepper is very nice compared to some of the other super hots. 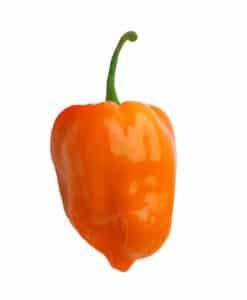 It has a sweet and fruity taste with some floral undertones and INSANE HEAT. 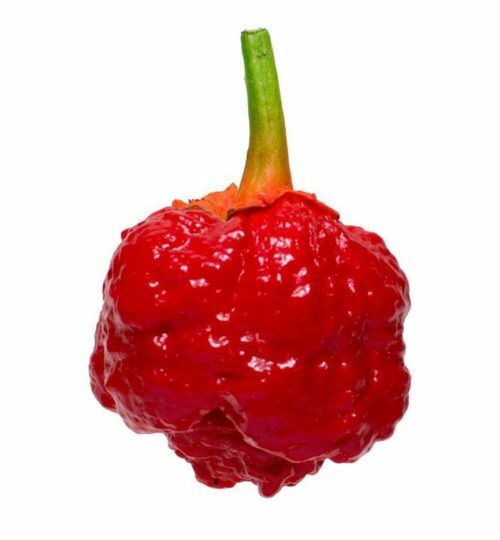 Some even say it tastes a little like bubblegum in the first few bites.